In the fall of 1852, hardy pioneers camped among the oaks along a meandering creek in an area known as Four Creeks Country. There, in the fertile soil surrounded by abundant water, Visalia took root. Today the county seat of Tulare County is the oldest San Joaquin Valley town between Stockton and Los Angeles, and is the gateway to Sequoia National Park. 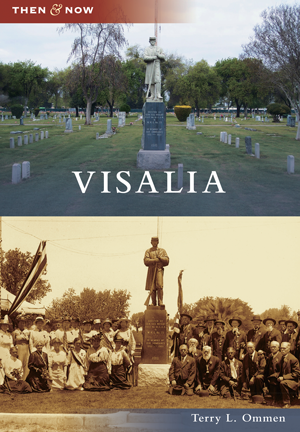 In this amazing trip through time, Visalia historian Terry L. Ommen carefully traces the rich history of the town through rare and contemporary photographs.